This is the moon at 11 days as seen through Hydrogen Alpha light. The moon shines by reflected sunlight. Since the sun puts out a tremendous amount of light in the hydrogen alpha spectrum the moon can be imaged in this spectrum as well. Assembled as a two frame mosaic. 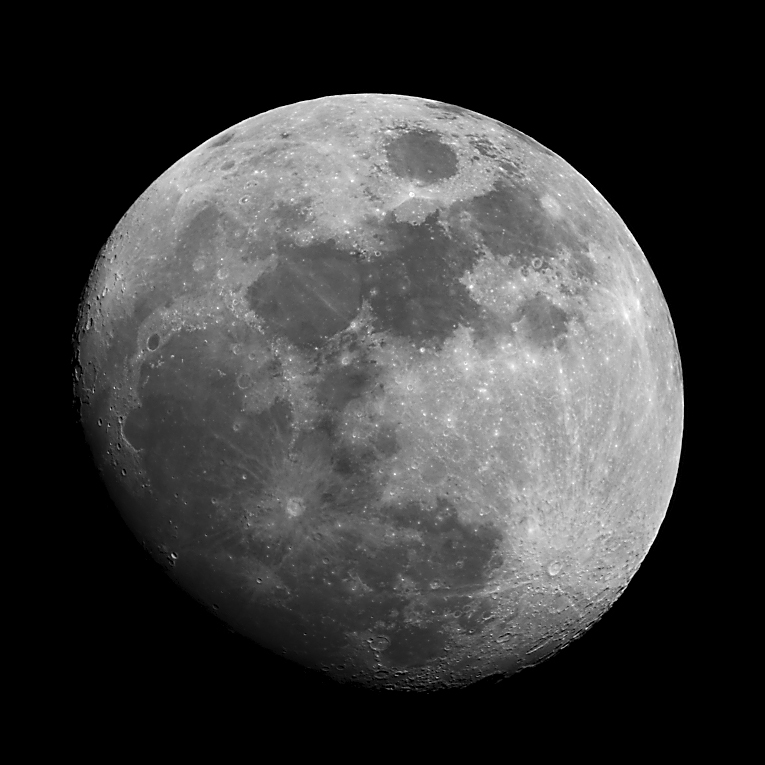 Note: This image was selected Lunar Photo of the Day (LPOD) 10/22/2004.